Nancy Ruffner is the founder and owner of NAVIGATE NC, an advocacy company that provides services and resources for seniors and their families. Services include care management and advocacy with respect to healthcare, housing or legal issues. Nancy's passion in business and in personal life has always been to work with populations who may be marginalized, those who may not have a strong voice. Assisting her own parents to navigate the challenges that came with aging unveiled to her the gaping business and societal need. Nancy founded NAVIGATE NC in 2013. A complex healthcare system, an increasing elderly population and the difficulty of long distance caregiving are producing tremendous challenges, ones that Nancy's agency can remedy. A big part of Nancy's focus is with adult children who live outside the area and need a trusted set of eyes and ears locally who understand seniors' issues and can work on their behalf. Her clients call her their 'Professional Relative'. Nancy speaks regionally to groups on topics regarding aging and planning. She has designed and teaches coursework within the gerontology curriculum at a local community college that ushers talented people into the senior care industry. 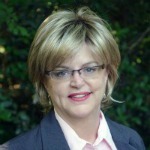 Nancy enjoys provoking thought and guiding folks to create and implement a plan of action. Her antennae are always up with respect to advocacy for your family, education and awareness, and the chance to provide real solutions.